The CMI Tribute is designed to honour members of the Charlotte Mason community who have made significant contributions to promoting Charlotte Mason’s ideas for education. Almost a century after her death, Charlotte Mason’s design for education continues to stir the imagination and practice of parents and teachers and impact the lives and education of thousands of children. Without the contributions of some key individuals, however, it may well be that Charlotte Mason’s influence would not be felt across the world in our times. The CMI Tribute is designed to recognize such individuals. Dr. Deani Van Pelt first attended the Charlotte Mason Institute Conference in 2005. Since then, Dr. Van Pelt has tenaciously supported the work of the Institute as well as the general Mason community. In 2007 Dr. Van Pelt contacted Dr. Carroll Smith (Gardner-Webb University) concerning writing a grant to obtain funds for a Mason education project. With support from Dr. Smith and Dr. Jack Beckman (Covenant College), Dr. Van Pelt wrote a grant proposal to the Social Sciences and Humanities Research Council of Canada. Upon receiving the grant in 2008, Dr. Van Pelt convened a group in Ambleside, UK to develop plans for a larger project. That group included Drs. Smith and Beckman, Lisa Cadora (CMI Board Chair), Dr. Jennifer Spencer (then a graduate student of Dr. Smith’s), and Dr. John Thorley (last principal of the Charlotte Mason College). From those meetings came the idea to digitize the Charlotte Mason Archive at the Armitt Museum, Gallery and Library. Dr. Van Pelt prepared an additional SSHRC grant application in 2010 and its successful award enabled her to lead a number of Mason scholars and practitioners to the Armitt to digitize much of the collection. The team included Dr. Beckman, Dr. Spencer, Gladys Schaefer (CMI Board Member), Dr. John Thorley, and Marlene Power (Redeemer University College). Without Dr. Van Pelt’s work and dedication, the Charlotte Mason Digital Collection (CMDC) would not exist. The receipt of several additional internal grants from Redeemer University College combined with the dedicated work of Marlene Power and many students hours, the CMDC was established at Redeemer University College in Ancaster, Canada. The significance of this project may be best illustrated by the fact that the CMDC has been viewed over 66,000 times since it was recently added to the Internet Archive in October of 2016. In the past year, there have been well over 5,000 additional views of the CMDC directly through the original website at Redeemer College. In establishing the CMDC, Dr. Van Pelt has facilitated access to the Charlotte Mason archive for thousands of individuals from across the globe interested in the study and application of Mason’s educational work and ideas. Prior to the digital collection, travel to the north of England was needed to peruse the archive. Her vision, grant writing and leadership have enabled widespread access to the archive and contributed to the expansion in the study of Mason’s approach to education. Dr. Van Pelt’s work on the CMDC alone meets the CMI tribute criterion, which is to recognize key individuals who have brought the work of Charlotte Mason into the 21st century so that it can benefit many children. But Dr. Van Pelt’s work goes further. Her master’s thesis Charlotte Mason’s Design for Education (2001) was one of the first graduate theses in Canada prepared on Mason’s educational philosophy. In collaboration with her daughter, Meghan Van Pelt, she contributed a chapter, L’Umile Pianta, to the first volume of the Institute’s Essays on the Life and Work of Charlotte Mason. She has presented multiple plenaries and workshop sessions at the CMI conferences throughout the past ten years. Most recently, she helped to organize and lead the 2018 English Lake District Retreat at St. Mary’s Church in Ambleside, England. Dr. Van Pelt has become an invaluable spokesperson for Charlotte Mason’s design for education as she represents Mason’s ideas broadly via video, podcasts, articles, and lectures. The CMI board is proud to honor the work of someone so dedicated to the work and ideas of Charlotte Mason and we look forward to many more years of working with Dr. Van Pelt as she continues to study and share Charlotte Mason’s ideas in Canada and beyond. Deani Van Pelt, PhD, currently the president of a new independent school association in Ontario, Canada, is a former Associate Professor of Education and Director of Teacher Education at Redeemer University College and author of many studies in education policy for the think tanks, Fraser Institute and Cardus. Together with an international team, in 2008, Deani was awarded a grant from the Social Sciences and Humanities Research Council of Canada to digitize the documents in the Charlotte Mason Collection held at the Armitt Museum in Ambleside, UK. The results of the digitization project have meant access to Mason’s (previously almost inaccessible) works by a new generation of scholars and practitioners. Over the last decade, access to the collection through Internet Archive and the Redeemer University College Library website has stimulated increasingly widespread research and application of Mason’s ideas for education. 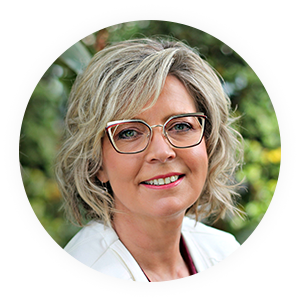 Deani is passionate about excellent educational design and believes we have much to learn from Charlotte Mason for education in our times. She is thankful for the role the Charlotte Mason Institute has played in building and promoting the digital collection. In her book, Charlotte Mason: Hidden Heritage and Educational Influence (The Lutterworth Press, 2015), Margaret Coombs rediscovers for a new generation the previously unknown biography and influences of Charlotte Mason. Coombs’ years of meticulous research and lively style illuminate hitherto unknown details of Mason’s story and origins of her ideas, and undoubtedly will benefit researchers and practitioners for decades to come. Margaret and her husband, Martin, a retired Anglican Vicar, live in multi-cultural, multi-faith, East Oxford and attend St Mary & St John Church. Her son, Daniel, is an artist and art lecturer and her daughter, Anna, is artistic director and founder of an innovatory African and African Caribbean theatre company, serving south west England. Margaret studied classics at school and sociology at London University. Joining the London Samaritans instilled in her the importance of respecting the humanity of all people, regardless of their problems. This guided her subsequent mental health work. Qualifying as a psychiatric social worker at the LSE brought a wonderfully varied mental health career in England and overseas. She has also lectured, engaged in research projects and chaired proactive committees. Highlights include action-research as a community care rights adviser, learning from Oxford Survivors and sharing patients’ concerns, as a mental health act commissioner. Retirement in 2008 and meeting with transatlantic Charlotte Mason enthusiasts inspired her to develop her 1984 post-graduate thesis on Education for Parenthood by the PNEU into her new biography, Charlotte Mason Hidden Heritage and Educational Influence, Lutterworth, 2015. Susan Schaeffer Macaulay’s book, For the Children’s Sake: Foundations of Education for Home and School (Crossway Books, 1984), recovered Charlotte Mason’s ideas from history and made them attractive to a new generation of parents and teachers. Without her inspiring, sensitive, and insightfully articulated work the international resurgence of interest in Charlotte Mason, almost surely, would not have occurred in the last three decades. Born in Grove City, Pennsylvania in 1941 to parents Francis and Edith Schaeffer, Susan lived in Europe with her missionary parents following World War II encouraging, befriending and teaching on the reliability of the Bible. Although her own elementary school education was dull, Susan’s home life and family conversations resonated with touches of a Charlotte Mason atmosphere. Books, including books of the Bible, were read in full sequence, and narrated back to one another. Sundays included the children narrating the sermons which her father had preached, careful as he was to make “the feeding station low enough for the lambs”. Both parents frequently read aloud in the home and the cadence of their voices sharing all manner of poetry and prose still resonates in Susan’s memory. Scouting, frequent walks in mountain and forest, as well as trips to art galleries and museums marked Susan’s childhood. Although illness kept Susan from attending formal secondary school, the packages from Calvert and the daily lessons filled her with joy and created a lifelong enthusiasm for learning. 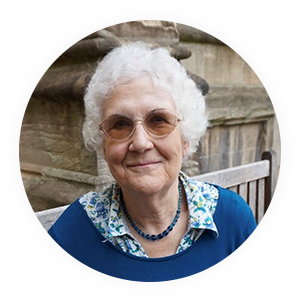 She studied occupational therapy at Oxford, England, felt the Lord’s leading in her meeting Ranald Macaulay while there, and they married in 1961. Together they then served with her parents at L’Abri in Switzerland (1961 -1964) where their first daughter was born, then in London establishing a L’Abri home there (1964-1971) and their second and third daughters were born, and then establishing a residential L’Abri 60 miles south of London (1971-1996). In the early years there their son was born, and two young children whose parents had died also joined their family. These years were full and always marked by conversation, cooking, meals, and daily life shared with young people, lectures being given, conferences organized, and books being written, including: Something Beautiful from God (Crossway), How to be Your Own Selfish Pig (Summit Ministries), and For the Children’s Sake (Crossway). 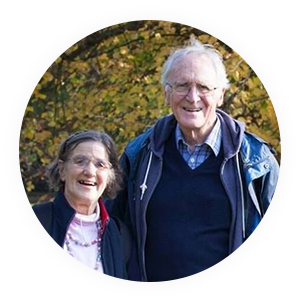 In 1996 Susan and Ranald settled in Cambridge to fruitful years of serving more locally, writing another book, For the Family’s Sake (Crossway), and attending to physical health and healing. With family now wide-spread, and separation not being easy, they “anticipate the great reunion ahead and the “Forever Family in a ‘Better Home’ (Hebrews 11)”. Dr. John Thorley’s selfless foresight in rescuing Mason’ archives as he retired as principal of the Charlotte Mason College, as he subsequently worked in organizing and cataloguing it, and then housed it at the Armitt Library and Museum in Ambleside, Cumbria, UK, almost single-handedly has made further research, study and application of Mason’s ideas possible in our times. Dr. Thorley’s ongoing encouragement and availability to scholars all over the world continues to impact how Mason’s ideas are understood today. John came from the mining and industrial area of South Yorkshire. The secondary school where he went taught a broad curriculum including classical and modern languages, which became a life-long interest for him. He went to Durham University in the north of England, where he studied Greek and Latin. He then taught for ten years before taking posts in Cumbria, first as an Education Officer, then as a School Inspector, then as head of a large secondary and community school in Carlisle, and finally as Principal of Charlotte Mason College in Ambleside. In his last two years at Ambleside the College merged with Lancaster University to become the university’s Faculty of Education, of which John became Dean, while still remaining Principal of the College and Professor of Education. Since retiring from his full-time post, John has catalogued the Charlotte Mason archive held in the Armitt Library on the College campus. He has also continued his interest in Latin and Greek by teaching Greek and Medieval Latin to post-graduates at Lancaster University and by teaching Greek History at the University of Cumbria. Until recently he taught every summer at an annual conference in Greece on Homeric Studies, run by a European Classical organisation, EUROCLASSICA, of which John was president in 1991-1995. 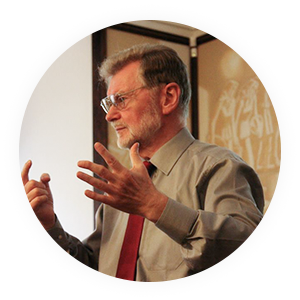 John has published books on Athenian Democracy and Medieval Latin, and articles on Roman History, New Testament Greek, medieval Cumbria, and Charlotte Mason. John attends his local Anglican church, he rings church bells in the traditional English style, he walks on the hills of Cumbria and elsewhere, and he retains an interest in education, though now mainly at a safe distance.